We’d love your help. 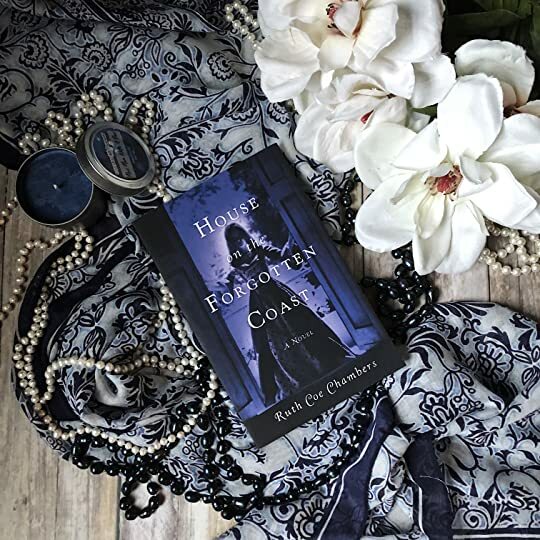 Let us know what’s wrong with this preview of The House on the Forgotten Coast by Ruth Coe Chambers. To ask other readers questions about The House on the Forgotten Coast, please sign up. The House on the Forgotten Coast filled several of my recent nights with longing....for a sleepy Southern town, for a historic grande dame of a house, and for love that reaches across time and space. For every young awkward young woman who has found the path to adulthood littered with obstacles, dreams and sometimes sadness...this book is a valentine. No spoilers, but I'll just say there are enough twists to keep you turning the pages late into the evening. Plot surprises in an historic mystery have always delighted me. What makes this novel so entertaining is that the twists and turns, unlike so many other novels, are so internally consistent; even the most surprising events are well thought out and delivered. So sit back and expect the unexpected as we get to know the well-rounded characters of this story. Like the synopsis mentions, the novel begins with a chapter set in 1879. I really enjoyed this quick glimpse into Annelise's life, as dark as it was. When it ended as quickly as it did, I was a bit bummed. However, I was very happy to see that more bits and pieces of the year 1879 were sprinkled throughout the book from time to time. The way that this book was organized was really interesting. I enjoyed that we focused on the main character, Elise, for the most part but that we jumped to see what Like the synopsis mentions, the novel begins with a chapter set in 1879. I really enjoyed this quick glimpse into Annelise's life, as dark as it was. When it ended as quickly as it did, I was a bit bummed. However, I was very happy to see that more bits and pieces of the year 1879 were sprinkled throughout the book from time to time. The way that this book was organized was really interesting. I enjoyed that we focused on the main character, Elise, for the most part but that we jumped to see what other characters were doing as the story called for it to help round out the plot. And as mentioned above, with the bits from 1879, I really liked how each bit directly related to what Elise had just learned from another character, or for the specific events that were occurring at that moment. This method wouldn't have worked if the bits had been totally unrelated to current events; they would have just mucked up the flow of the storyline. "It's just not fair that they should come in here and act like they own the place." I was immediately drawn to a number of the local characters and couldn't wait to learn more about them. A few sure seemed a bit salty at the beginning! Speaking of characters, I found all of them in this novel to be really well developed! The first thing I thought about when finishing the book was how my thoughts and feelings for each character had evolved over the course of the story. There were a few that I really liked at the beginning but then grew to either dislike them or be annoyed by them. Others I didn't like when we were first introduced to them, but then they grew on me over time. Of course there were a handful that I simply felt lukewarm about because they just didn't leave much of an impression on me. The writing was easy to read. Overall I thought it was pretty polished, though I did spot a few areas that could use some editing for consistency and to remove some slight repetition. The pacing was a tad slow for my preference, but it was still a really fun read! Definitely one that you can pick up and get totally lost in! The only memories she had of her real father were behind that door. Would the house hold her memories, the echoes of the past? It was dark and hot, and the air weighed on them heavy as guilt. Love is a snowflake, unique to each of us and all the same, all snowflakes. Luck has nothing to do with it. If it's meant to be, it's meant to be. There's nothing more to it. "I'm a strong believer in hot tea, even on a day like this..."
It was never published, but it didn't have to be. News travels faster than a printing press in a small town. While a bit of a slow burn, I really enjoyed the mystery and all of the little hints and elements of foreshadowing that were woven throughout this story. When eighteen-year-old Elise's parents decide to move from their comfortable lives in Atlanta to a small fishing village in Apalachicola, Florida, Elise becomes anxious. Her mother has asked Elise to put off going to college for a year in order to help them settle in. Elise has always been an outsider, even to her parents, she decides that the move may mean a new start for her as well. When Elise first sets eyes on their new home, something inside her clicks. Finally, Elise feels like she belong When eighteen-year-old Elise's parents decide to move from their comfortable lives in Atlanta to a small fishing village in Apalachicola, Florida, Elise becomes anxious. Her mother has asked Elise to put off going to college for a year in order to help them settle in. Elise has always been an outsider, even to her parents, she decides that the move may mean a new start for her as well. When Elise first sets eyes on their new home, something inside her clicks. Finally, Elise feels like she belongs, the townspeople adore her and the boat shaped house feels like home. Then, the dreams intensify, Elise dreams of another young woman, Annelise, who never got the chance to live in the boat shaped house that was built for her in 1897. Elise keeps getting clues to Annelise's life and how the man she loved died. Elise feels she might be burdened with living out Annelise's dream but those around her are worried that Elise is living in a fantasy world. 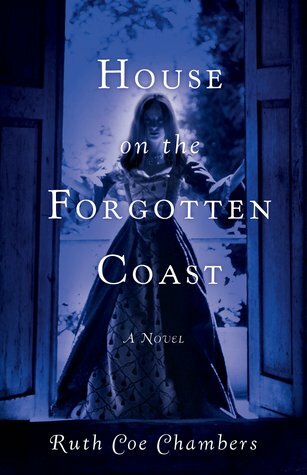 House on the Forgotten Coast pulled me in with the intense atmosphere and air of mystery. I was grabbed by the snippet from Annelise's demise and then caught up in Elise's story and wondered how the two women connected. I was effortlessly drawn to Elise, she has been an outsider all of her life, not even understood by her parents, but determined to make her own way. I was pleased that she was generously taken in by the inhabitants of Apalachicola. The residents of the town were also very well developed, I loved getting to know Peyton, Dallas, the Myers, the Aunts and Ty. They all added to the mystique of the town. Through the entire story, the writing presents a very gradual build up of something being not quite right. The mystery lies in whether or not the town is cursed due to Annelise's demise or if Elise herself is the only one being haunted by Elise's memory. I did love the idea of two souls trying to find each other throughout time. Overall, a mysterious and haunting story that I absolutely devoured. Ruth Coe Chambers has created characters that are complex, engaging, and unforgettable. The house on the northwest coast is perhaps the most complex and unforgettable character of them all. Chambers paints vivid pictures of the sleepy fishing village of Apalachicola as it grapples with a haunting past and an uncertain future. Long time residents rarely speak of the house and the history it holds but they often speak among themselves about the onslaught of newcomers to a town that likes things "th Ruth Coe Chambers has created characters that are complex, engaging, and unforgettable. The house on the northwest coast is perhaps the most complex and unforgettable character of them all. Chambers paints vivid pictures of the sleepy fishing village of Apalachicola as it grapples with a haunting past and an uncertain future. Long time residents rarely speak of the house and the history it holds but they often speak among themselves about the onslaught of newcomers to a town that likes things "the way they've always been." They resent the influx of city-folk who often want to flaunt their money and city ways in an effort to bring about change. So it it not surprising that they are none too pleased when eighteen-year-old Elise Foster and her parents arrive from Atlanta. Elise comes to Apalachicola with a sense that she is doomed to dislike their new home. To her great surprise, she becomes very interested in learning all she can about the town, its residents and its history. Unable to explain the attraction the town—and the house on the coast—hold for her—she spends most of her days researching, exploring, and observing as much as she can. All the while, she always has the feeling that there are deep, dark secrets—and that she is, in some way, connected to them. The mystery and other-worldliness of the story line and the characters make this book difficult to put down. Chambers has created such believable stories within the story that you will, at times, question your own understanding of reality. If you like strong characters, tension-filled story lines and a touch of mystery, then this book is for you. If you are looking for a book that is next to impossible to put down, this book is for you. If you enjoy the beauty of small towns, old homes and the stories they harbor, this book is for you. When you finally come to the last page, I promise you that the story and its characters will remain with you. This book starts with the tale of an old love triangle. Lies told, murders past, and a very sad ending to a wedding. Answers are sought but none are found and so no one’s spirit rests easy in the small town of Appalachicola. In the modern day a family looks for a new start by escaping their problems in the big city with a move to a small town. Elise, her mother and stepfather are looking to begin anew so they are leaving all they know to move to what Mrs. Foster calls “a fishing village.” She com This book starts with the tale of an old love triangle. Lies told, murders past, and a very sad ending to a wedding. Answers are sought but none are found and so no one’s spirit rests easy in the small town of Appalachicola. In the modern day a family looks for a new start by escaping their problems in the big city with a move to a small town. Elise, her mother and stepfather are looking to begin anew so they are leaving all they know to move to what Mrs. Foster calls “a fishing village.” She comes down with all her city and I know better attitudes wrapped around her. The reader does not know what has led to the move but there are hints dropped. Elise had wanted to escape her parents and go to college but she is not going to get her wish. She is wary of the move but finds the town far more welcoming than she expected. In some ways. In others the town is getting under her skin and invading her dreams. What is real, what is fantasy and what is Elise creating out of the stories she hears around town? Elise feels increasingly more comfortable in her new home town as she explores further about. She meets many of the inhabitants and learns more about the history of her unique home. She finds herself pursued by a nice young man but she is unsure of his intentions at first. Also she finds herself attracted to another young man but he is rebuffing her for reasons she cannot understand – yet. I give it 3 1/2 stars! As the book begins it moseys along at the same pace as the sleepy Florida coastal town, Apalachicola, where the story takes place. However, it picks up speed the deeper into the tale you get. The core focus is mainly on Elise and the unusual circumstances that are happening to her coupled with the long-ago death of Annelise, occurring in 1879, that the town would prefer left alone. I thought the plot to be unique yet also peculiar. Why? There are so many reasons. It is mysterious, bizarre, engrossing, contains young love, and as a reader by the end you will be plagued by what was truth or just hallucinations. I am still left scratching my head regarding Lawrence. Furthermore, the other characters' lives are gradually revealed, hence leaving me astonished at times. If you enjoy reading fantasy, mystery or magical realism, I think you will really like this book. I myself found it worth the time I put into reading it. Therefore, I will definitely be reading it a second time since this is the type of book you will discover new details each time it’s read. "Thank you, Poetic Book Tours, for giving me the opportunity to review this book"
Elise is moving to Apalachicola with her parents and she is definitely not happy about it. But soon she becomes engrossed in the town, it’s residents, and it’s history. And then she gets the feeling that she is somehow connected to the house she’s living in and to the past of Apalachicola. The author brings the story and the small town alive with her words, and makes this book very hard to put down. This story is not like what I usually read, but it caught my attention because it takes place in Ap Elise is moving to Apalachicola with her parents and she is definitely not happy about it. But soon she becomes engrossed in the town, it’s residents, and it’s history. And then she gets the feeling that she is somehow connected to the house she’s living in and to the past of Apalachicola. This book was fantastic! I love ghost stories anyway but this was one of the best I have read. Like... WOW! It seriously kept me guessing till the end. And then my jaw just dropped. I honestly never expected that, didn't see it coming. This story is so well done. The character development is excellent. The descriptions are great, I could vividly picture everything. And there is so much this book has to offer - its sad, heartwarming, a little romantic, and a lot creepy! I had trouble putting it d This book was fantastic! I love ghost stories anyway but this was one of the best I have read. Like... WOW! It seriously kept me guessing till the end. And then my jaw just dropped. I honestly never expected that, didn't see it coming. This story is so well done. The character development is excellent. The descriptions are great, I could vividly picture everything. And there is so much this book has to offer - its sad, heartwarming, a little romantic, and a lot creepy! I had trouble putting it down to get anything done. I really think this will be one I will want to read over again, even though I know the ending. Maybe especially since I know the ending to see if I can pick up any clues. This will definitely be one of my favorites of the year (of course it will have to wait till the end of 2018). I hope this author keeps up this style of writing - I would read her again! I grew up in the Florida Panhandle and favor books like this set in places I know. I will not write a detailed review so you can quickly move to enjoying this and other books by Ruth Coe Chambers. I am a mystery buff and I absolutely could not put this down until I found the answer. In spite of my detective skills, the ending was totally unexpected! Strange and home-townish, as Southern tales often are. Not for everyone and not for me. I received a free copy in a Goodreads giveaway. The characters were all wonderfully created. They were all very interesting and leave a deep impression on the reader. I loved the story and was completely drawn into the story. I got this book for a boosktagram tour and the cover instantly pulled me in. I mean, LOOK AT IT. I don't read a lot of HF or really any mystery novels that aren't high in romance. So I decided it was worth it to dive into this. I really enjoyed this change of pace. This novel had lots of twists and turns, and characters that endeared this mystery to me. Thanks for the read, Ruth!